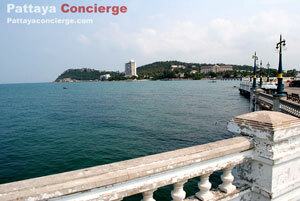 Just as Pattaya, Bangsaen is one of most popular attraction in Chonburi. Visitors usually come to enjoy sea breeze here since it is really close to Bangkok, only 1 hour drive. In other word, it is in the middle of Bangkok and Pattaya. For those who would like to stay in a quiet place, they can also walk to Wonnapha beach nearby. There are also a lot of nightclubs in the urban area. In short, it can be seen as an alternative interesting place to relax. Bangsaen has been known by thai citizens for a few decades, from just the beach to the center of activities to attract more and more customers. Currently, just like Pattaya, there are a number of beach beds and a lot of small shops and food stalls along the beach. There is also a relaxing place called, Laemtan, for visitors to enjoy sea view and picnic at night. Moreover, every Friday and Saturday evening, the area around this Laemtan become a large shopping area called Bangsaen Walking Street, and as there are a diversity of items available, a lot of visitors are there too (manily Thais, but foreign still). Bangsaen at the present is a place offering full of facilitates with reasonable price. Visitors can park their cars anyplace next to the walk way along the beach. In the case of public transport, it is also easy to get to the beach since there are tons of red Song Thaews (Baht buses) to transfer people from the beach to the city of Chonburi. If visitors would like to rent a motorcycle or a bicycle, there are a lot of rental shops ready to service them at the beach front. Laemtong Bangsaen is a shopping center in the area. Visitors can find shops, food center, theater, ATMs and banks here. In the case of convenient stores, they have been available in every major place already, so visitors can visit bangsaen without any worries. Aside from Beach, there is also a really famous university in Thailand, named Burapha University. It is one of greatest university in the East of Thailand. Not surprisingly, almost everybody in Thailand, no matter where they are, has heard about Bangsaen before visiting. And it is why Bangsaen is as popular as Pattaya these days, especially for Thais. However, a period of time in the past, Bangsaen seawater became so dirty due to a huge number of visitors come to enjoy the beach and lack of well cleaning service. It finally had caused visitors not to go to Bangsaen. Later on, the administrative team of Saensuk took action to solve the cleaning problem and create the rule to control both visitors and vendors to support the idea of making the area clean. Besides, they tried to develop the area around for tourist activities as well. These are the reasons why Bangsaen has become so popular again nowadays. Transportation the information of how to get to Bangsaen and get around. 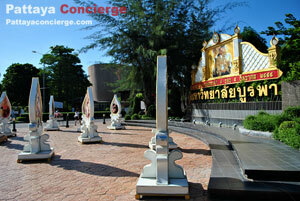 The information about vehicle rental are also provided See Bangsaen Transportation. Restaurants the information about where to eat in Bangsaen are provide here. Which places are cheap, which places are scenic see Bangsaen Restaurants. Accommodation this section provide the information of hotel, resorts, and some other accommodation in Bangsaen. See Bangsaen Accomodation. Bangsaen Walking Street is another place to bring customers coming to Bangsaen more on weekend. It was introduced in 2009 as a new shopping place in Bangsaen. It can also be seen as a place to create more activities for visitors. The purpose of creating this walking street is also to stimulate the economic of Bangsaen as well. The location of Bangsean Walking Street is at Leamtan Bangsaen. The car park area here becomes the place for vendors to present their products. There are a variety of activities and products – food, clothes, accessories, handmade products, photo spots and a lot more items. There is also live music for entertain visitors in the market as well. Seawater Aquarium is located in Burapha University. It opened for public visit for decades. there are a number of young student come for education. Sammuk Hill is the hill near Bangsaen Beach. At this hill, it is the place to see a great view of Bangsaen. To view sunset on the horizon, visitors can also do it here. Besides,There are a lot of monkeys on the hill, and these monkeys are quite tame (but sometimes, they bome wild, so visitors would also need to be a little carefully). Saensuk Temple is situated close to Bangsaen Beach. It is a large temple, about 12 acres. There is something unique in this temple, compared to other temples in Thailand. The interesting things are statues in different styles, in particular statues about activities in the hell after death. Angsila is a location not so far from Bangsaen Beach. It is famous on products made by stone, especially mortar. Apart from the stone products, the seafood restaurants here are really well known because they use fresh materials from the jetty to make the food.